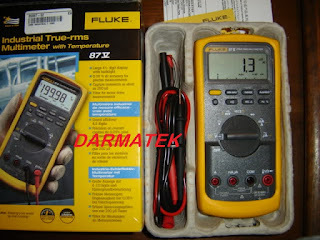 Contact our sales: +6281283804273, wa: +6281932632003 for price info and stock Fluke 87V Digital Multimeter. 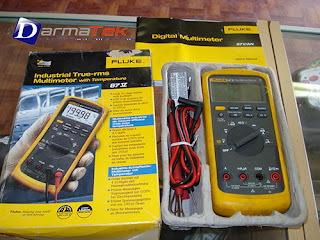 get cheap, fast, safe and affordable prices, free shipping Jakarta area only in the online shop Darmatek south jakarta. All inputs are protected to Category III, 1000 V and Category IV 600 V. They can withstand impulses in excess of 8, 000 V and reduce risks related to surges and spikes.